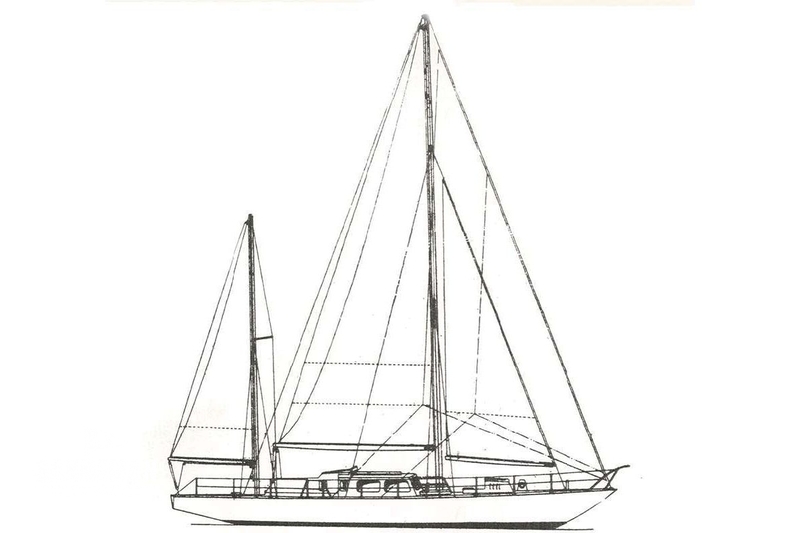 Until Laurent Giles’s concept of the motor sailer, such vessels had compromised on motoring or sailing; typically with poor manoeuvrability, poor sailing qualities other than in strong winds so usually requiring engine-on when under sail. 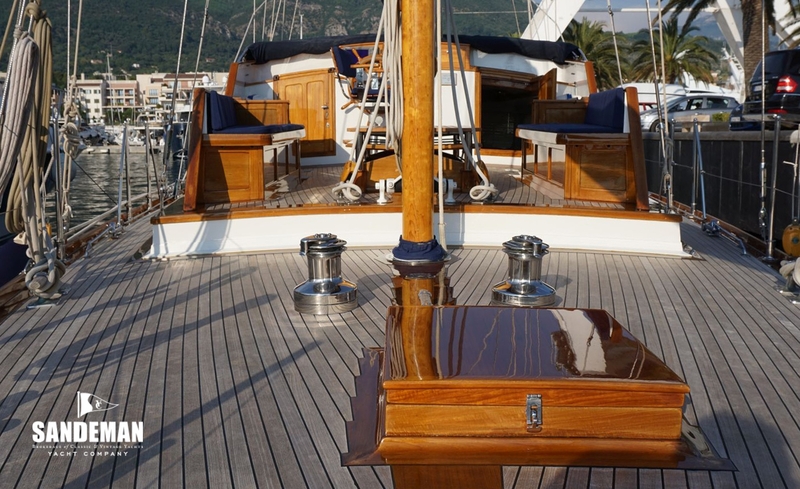 It was Laurent Giles who achieved the perfect blend of racing yacht hull profile with the motor vessel superstructure – notably with a raised bridge. 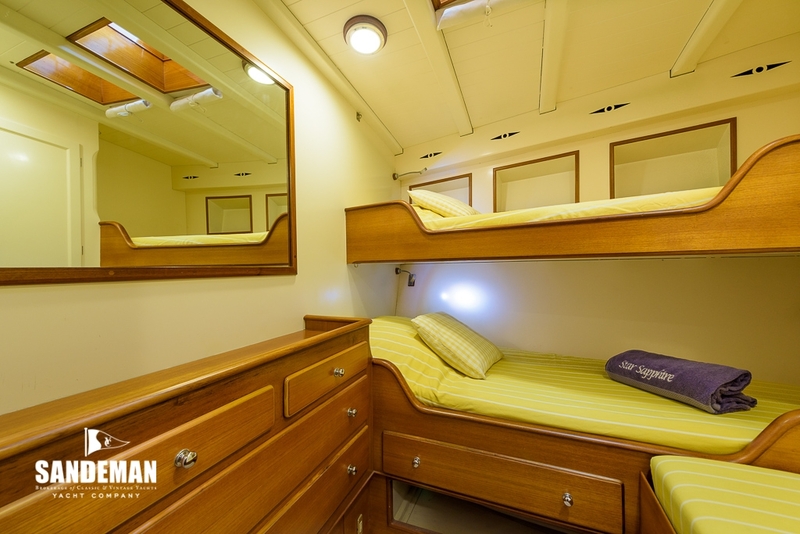 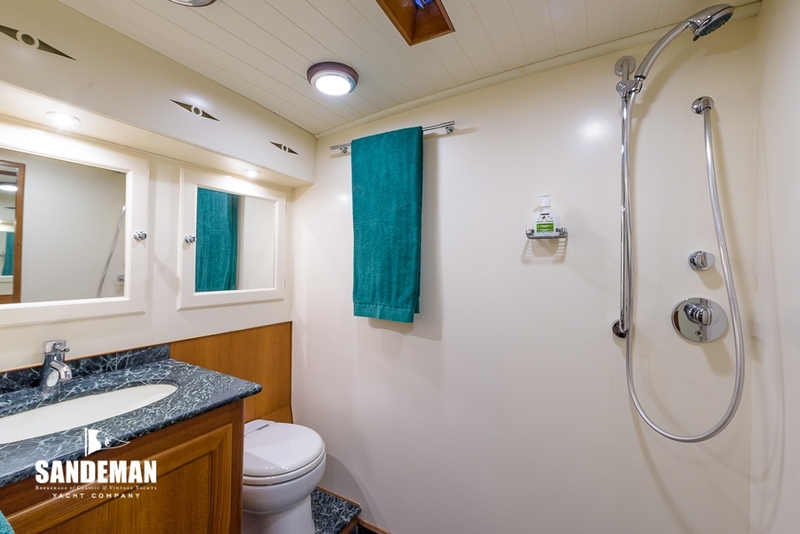 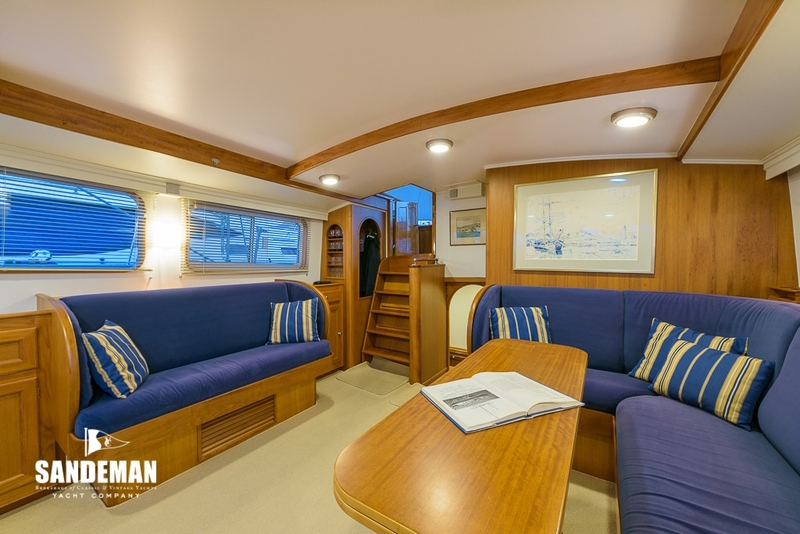 Well provided with power when the need arises, STAR SAPPHIRE moreover carries 2,000 sq ft of sail to a very efficient design. 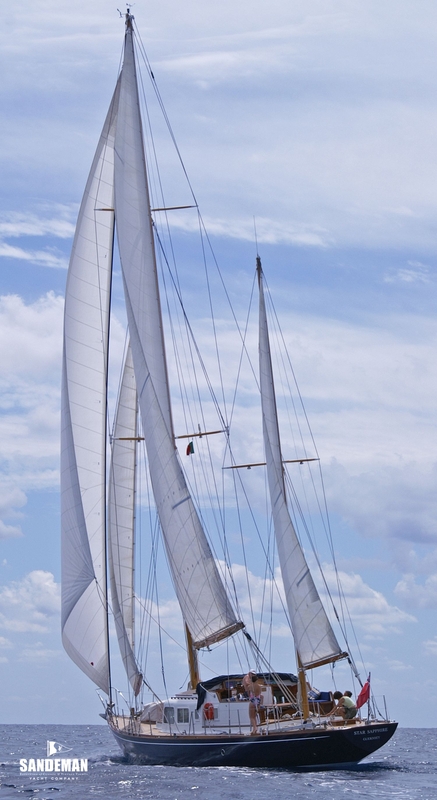 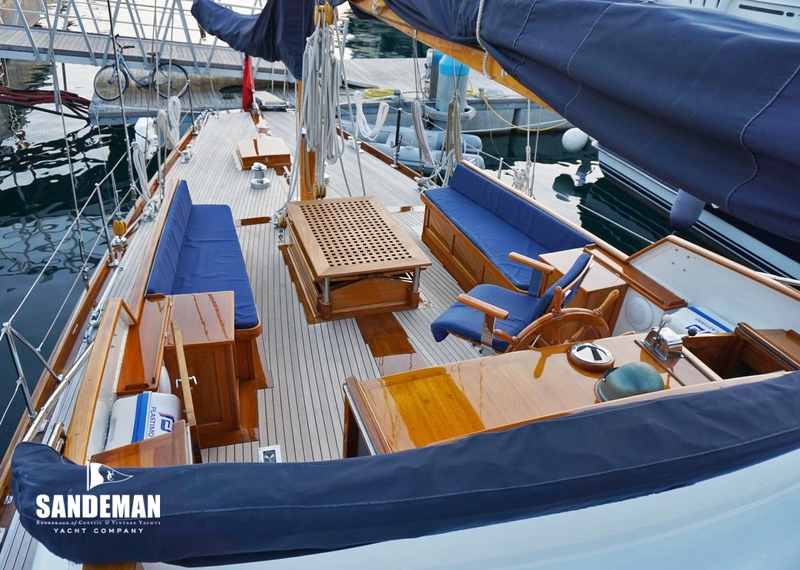 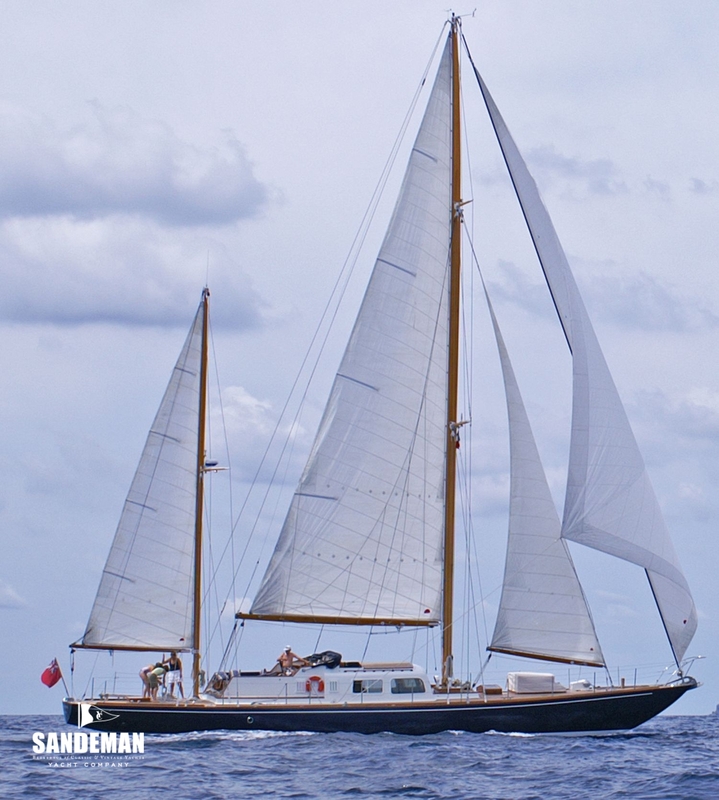 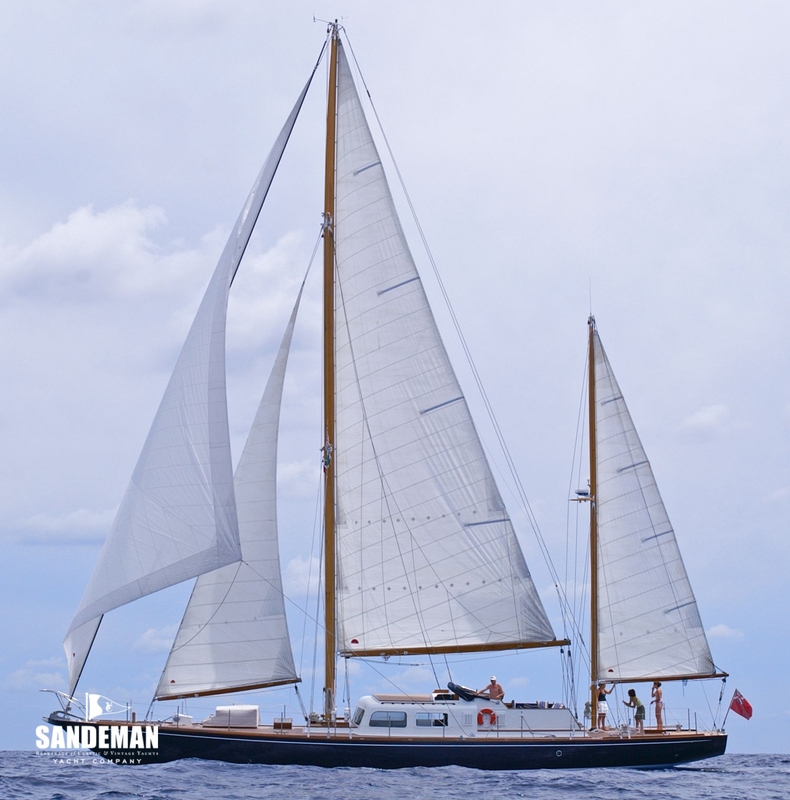 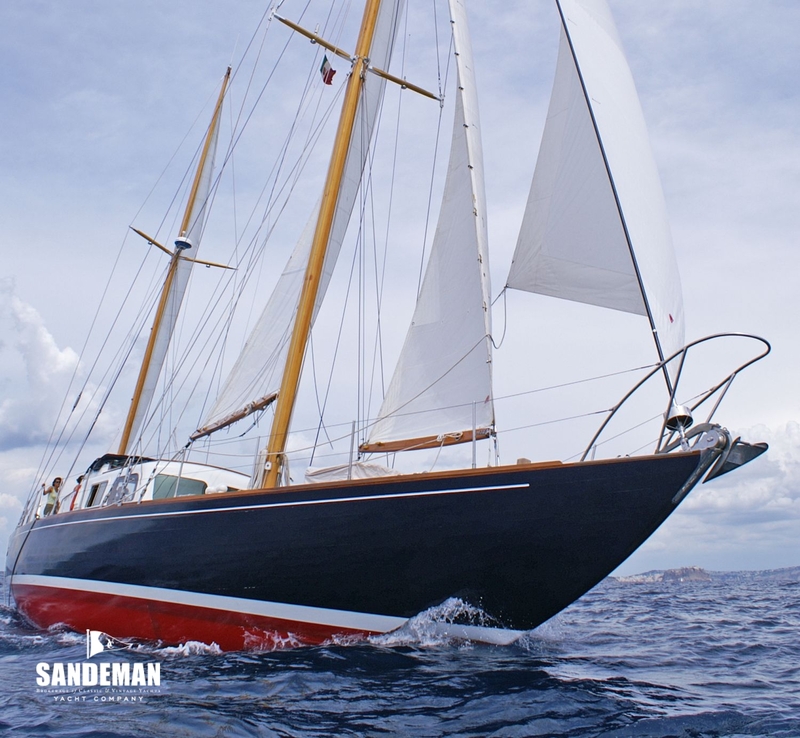 In practice she offers the stability and comfort of a sailing boat yet the predictability of schedule under engine. 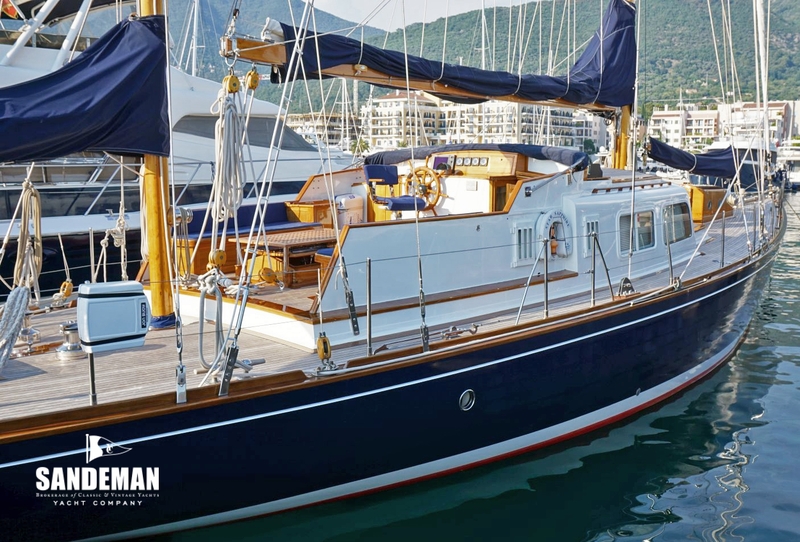 Following a substantial refit 2005 to 2006 under the guidance of her meticulous owner, this yacht is absolutely optimised for Mediterranean cruising – sometimes the lack of wind there and a boat like this can make you a passionate motor sailor. 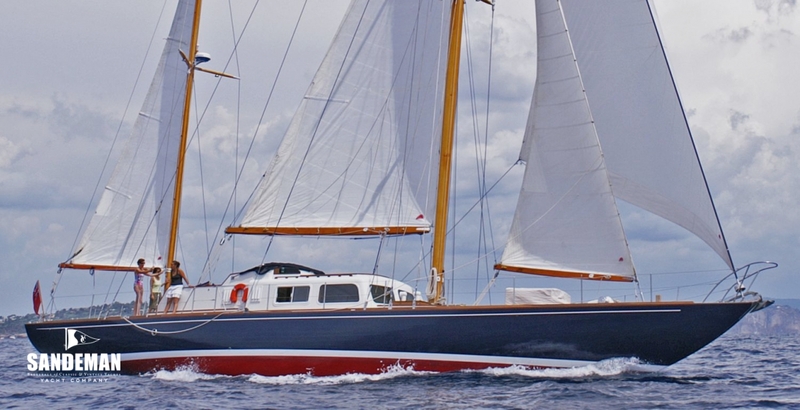 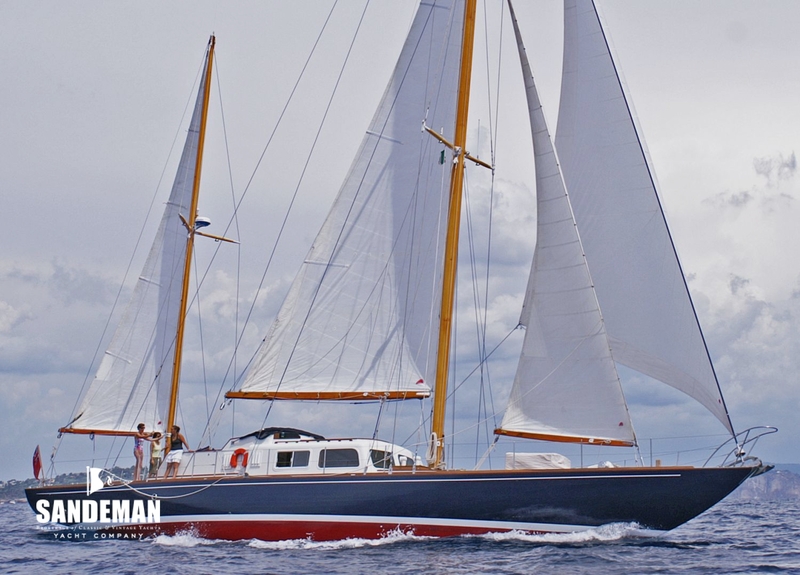 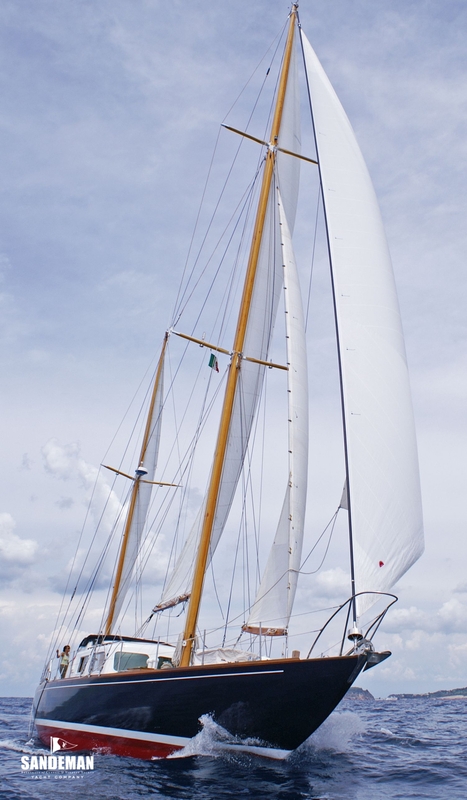 STAR SAPPHIRE was designed by Jack Laurent Giles and built at the Beltrami shipyard in Genoa. 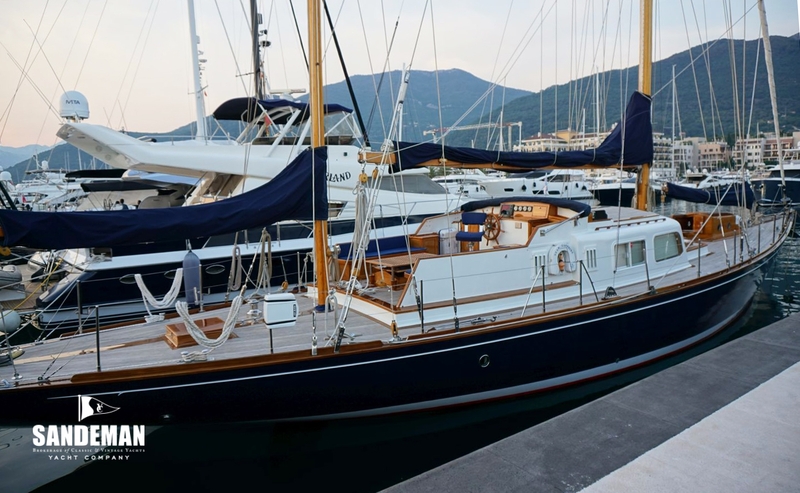 The commissioning owners, the Molins family were so impressed by the yacht so that again four years later they commissioned Laurent Giles to design them another yacht; BLUE LEOPARD. 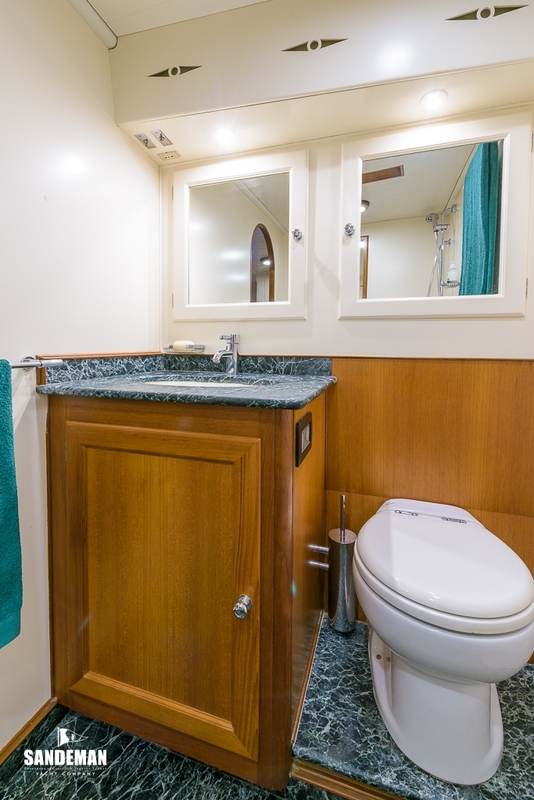 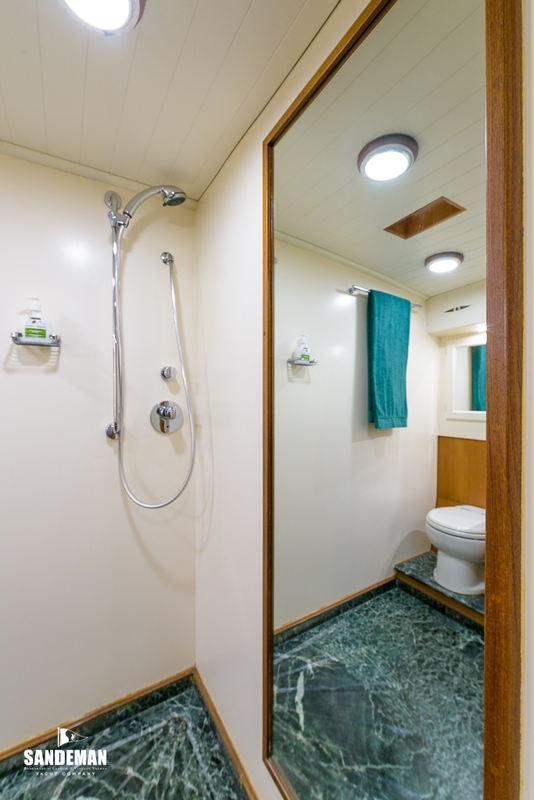 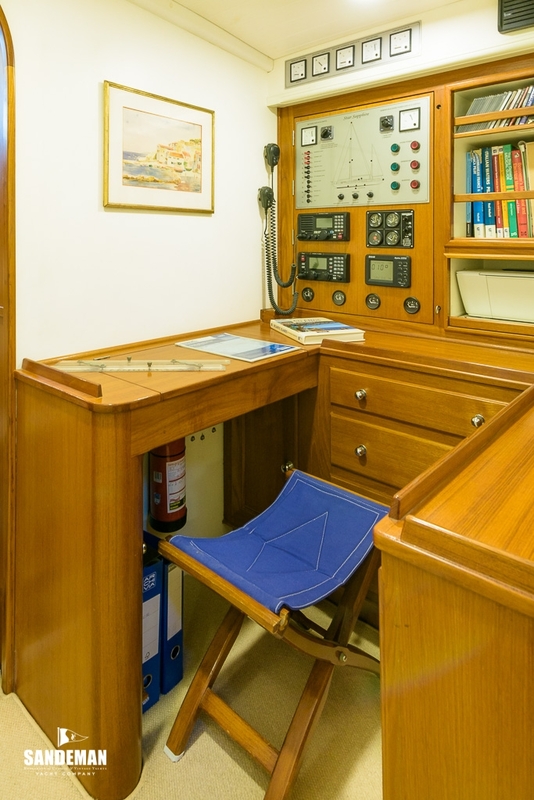 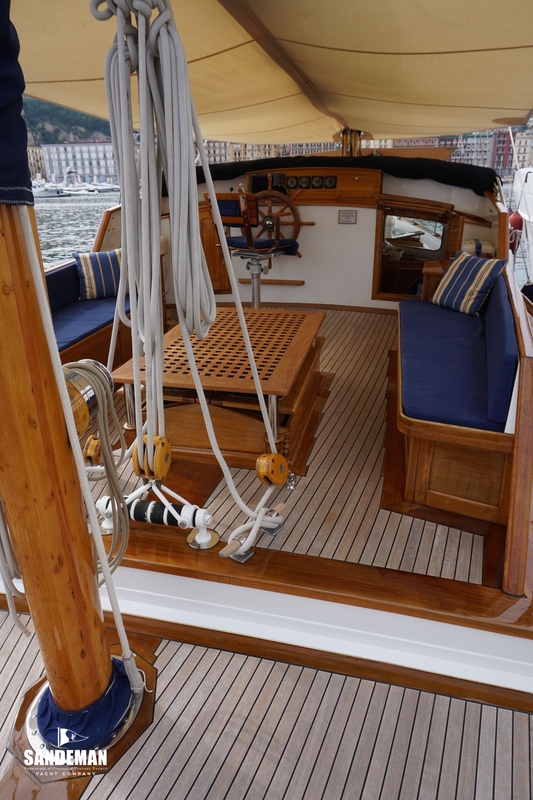 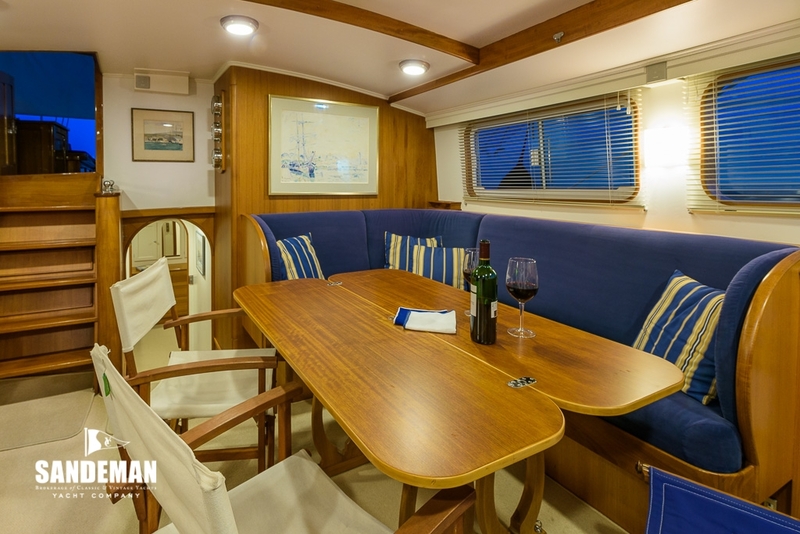 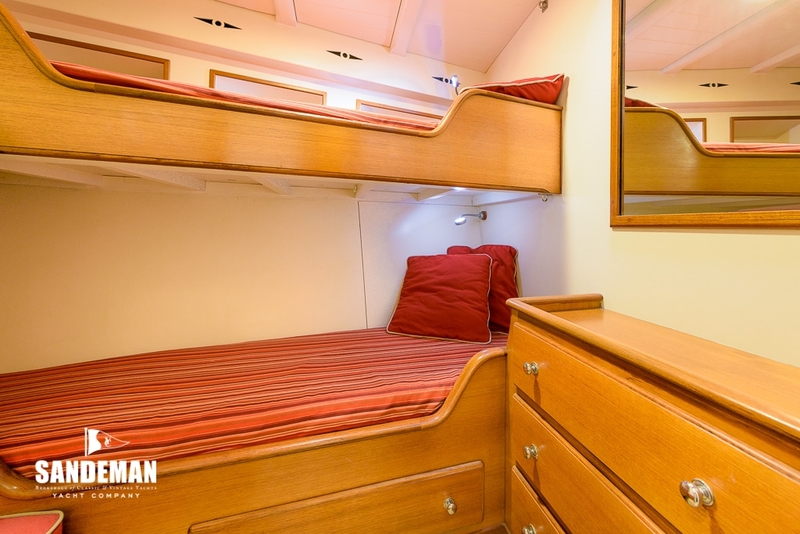 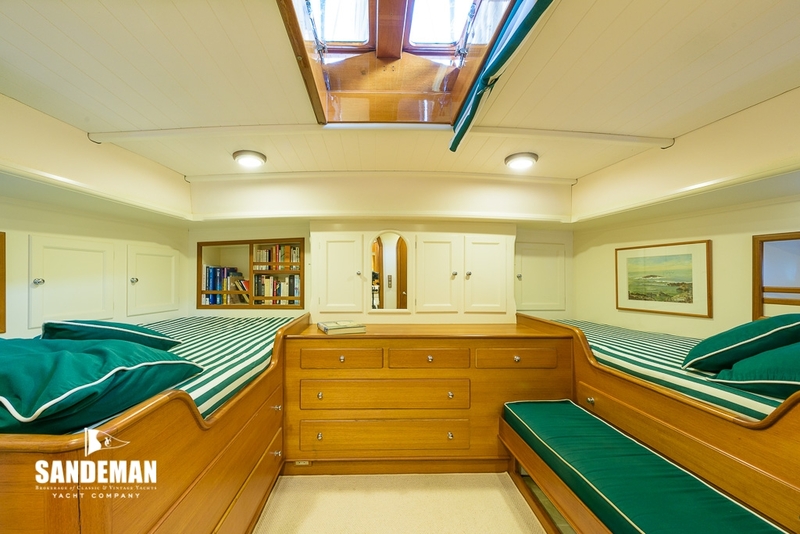 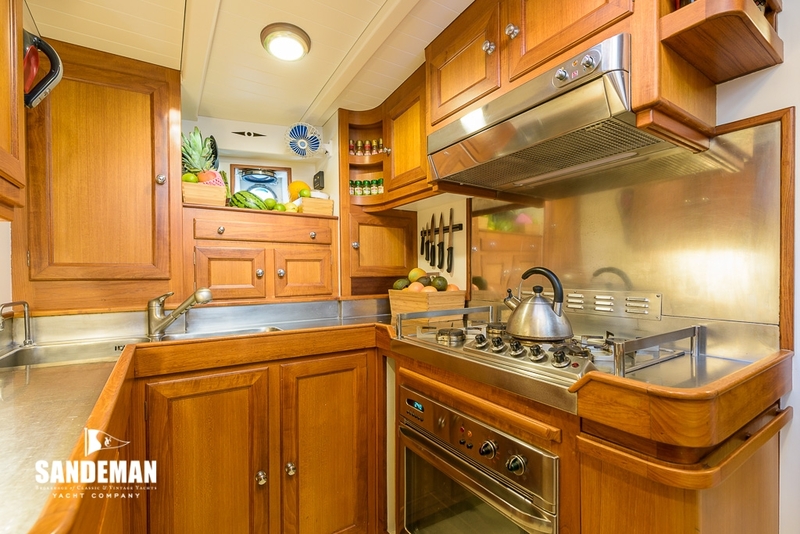 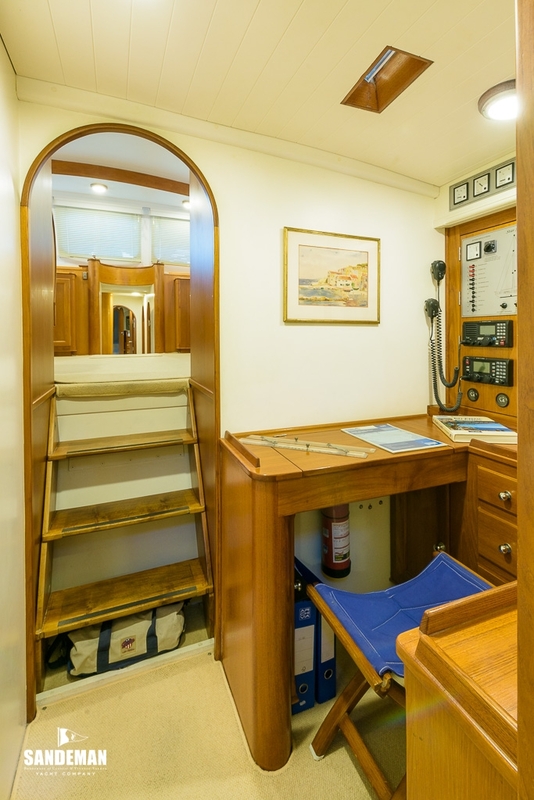 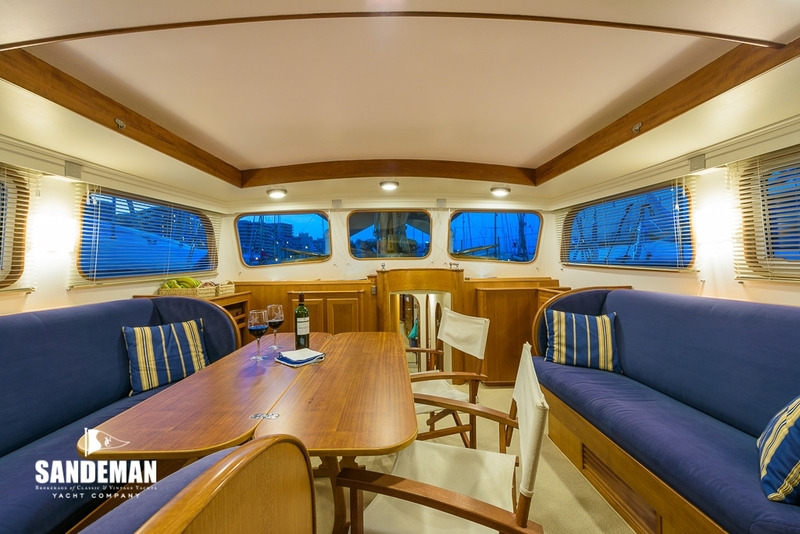 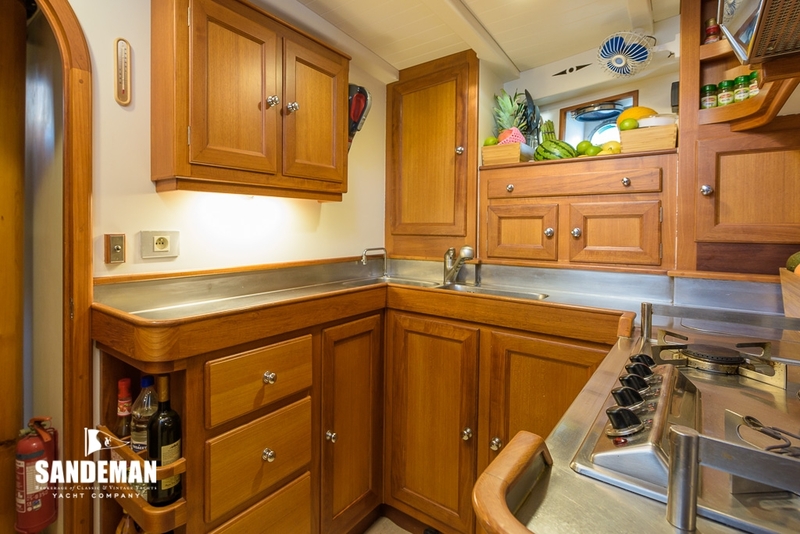 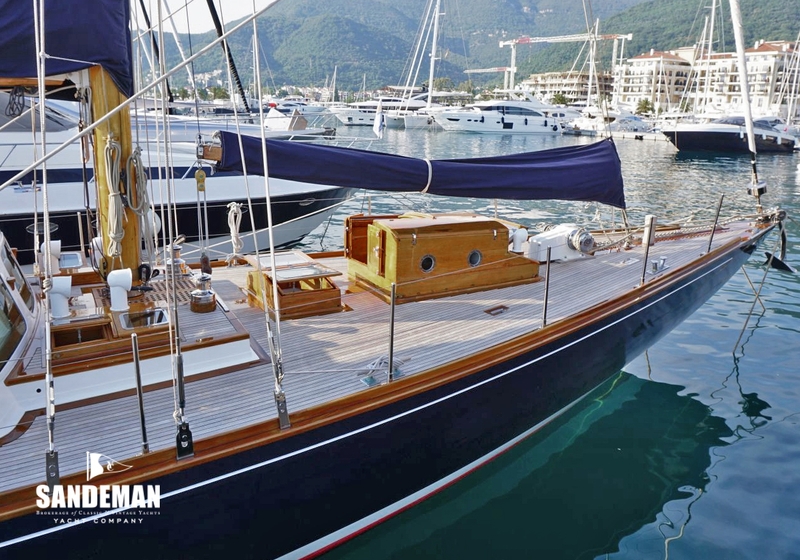 Some years ago, the current owner, son of her second; found STAR SAPPHIRE for sale in very poor condition after some 30 years ownership in the interim by an elderly Italian gentleman - so an extensive refit was needed. 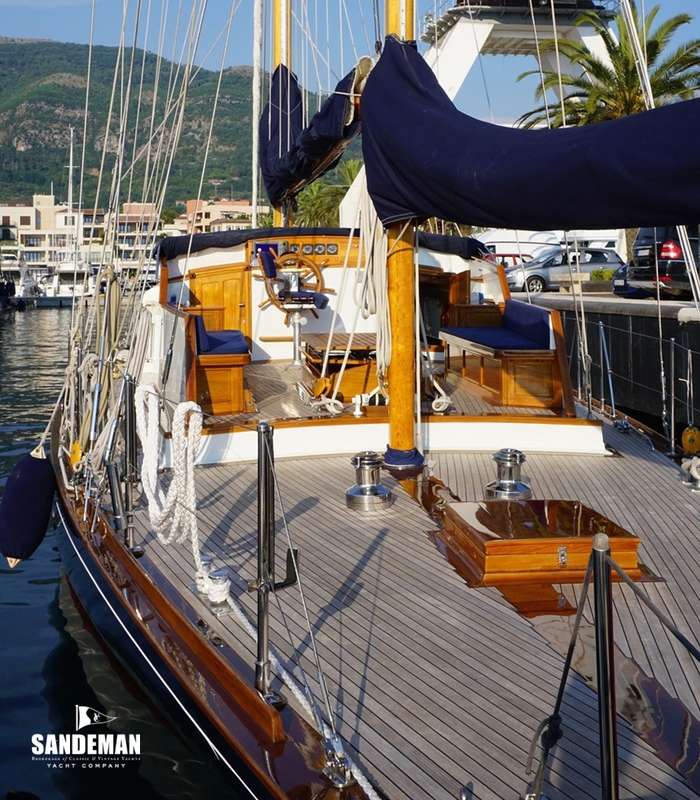 Initial works were undertaken by Classic Works at La Ciotat. 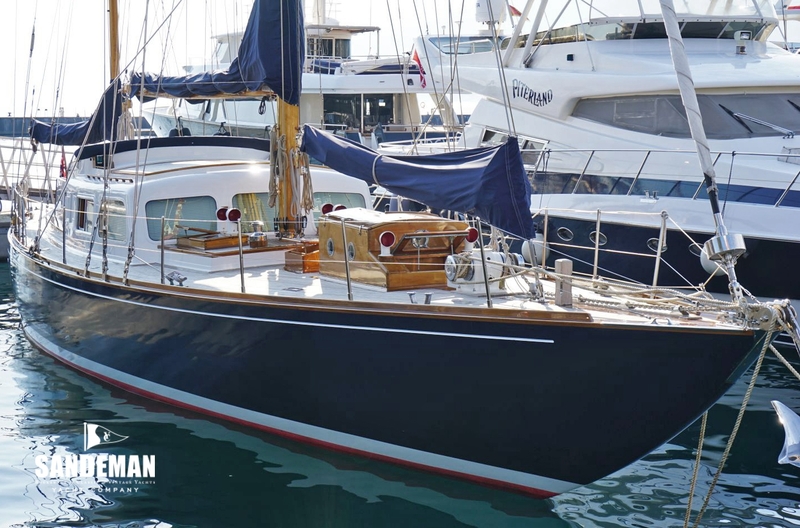 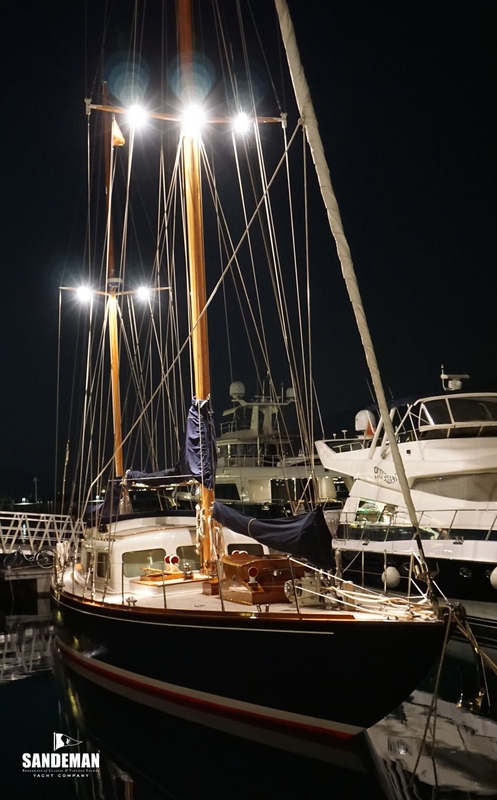 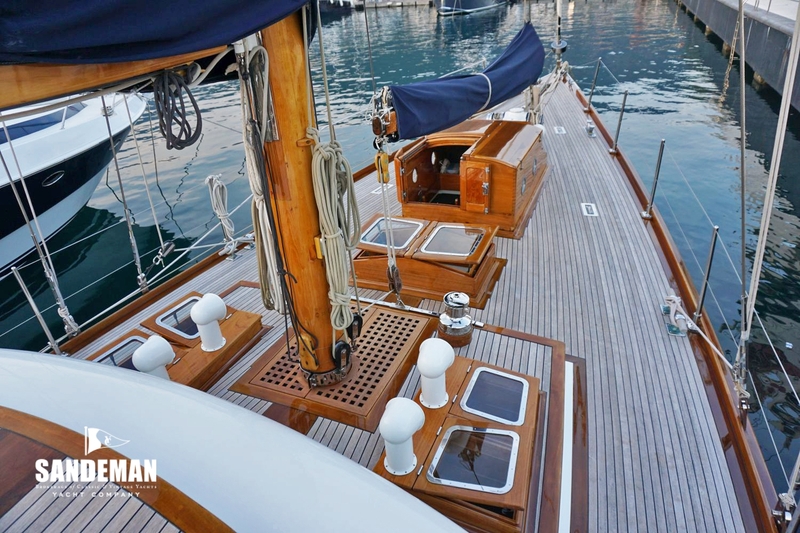 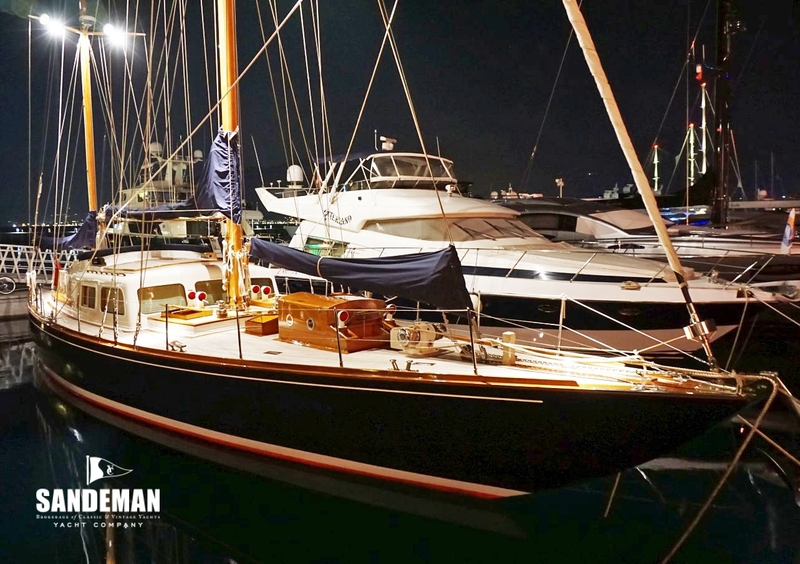 The boat was then removed, sailed for 3 months and the restoration was finished at Cantieri Tomei in Viareggio.